"An American Summer is an archive of the war--like finding a shocking but beautiful bundle of letters and photographs in the attic. Except that these dispatches reflect the daily violence that many Americans are experiencing, right now, in too many of our cities. Alex Kotlowitz dispenses with wooden categories of criminal and victim. With his uncommon warmth and sensitivity, he makes us understand that violence doesn’t happen in a moment; it’s a state of affairs." 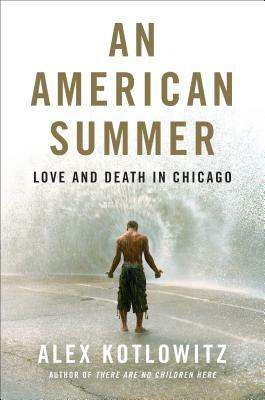 "In his latest powerful sociological exploration, [Kotlowitz] masterfully captures the summer of 2013 in neglected Chicago neighborhoods, rendering intimate profiles of residents and the "very public" violence they face every day. . . A fiercely uncompromising--and unforgettable--portrait."